In homeopathy, ipecacuanha is a good example of the homeopathic principle “like cures like.” Although ipecacuanha has potential harmful effects, when it is highly diluted and made into a homeopathic remedy, it can effectively treat various health conditions like respiratory disorders and nausea and vomiting. Homeopathic ipecacuanha is also used for hemorrhaging, migraines, morning sickness, and gynecological problems. Read on to discover more about homeopathic ipecacuanha, and its many uses and health benefits. Homeopathic ipecacuanha comes from the roots of the Carapichea ipecacuanha plant. The flowering plant is from the Rubiaceae family, and it is native to Colombia, Brazil, Panama, Costa Rica, and Nicaragua. A Portuguese friar living in Brazil in the early 17th century first recorded the medicinal properties of ipecacuanha. It is also a traditional Brazilian cure for dysentery that was brought over to Europe in 1672. Herbalists still use it today for amoebic dysentery. The roots of ipecacuanha were once used to make over-the-counter emetic syrup used to induce vomiting. It is no longer available in the West for medical use due to a lack of evidence of efficacy and safety. In 1805, homeopathy founder Dr. Samuel Hahnemann had proven homeopathic ipecacuanha, especially for relieving persistent nausea and vomiting. As with any homeopathic remedy, how it is prepared is key. For homeopathic ipecacuanha, the root is dug up, and the firmest dark rootlets are taken and dried. It is then powdered and macerated in alcohol, before being filtered, diluted, and succussed. As a result, the homeopathic remedy contains virtually no traces of the ipecacuanha root, and the final product is used to treat various health conditions. One of the key uses of homeopathic ipecacuanha includes respiratory disorders. For instance, ipecacuanha is often considered for an irritating, rattling, dry, and loose cough that is usually triggered by warm and humid weather. The person’s breathing may be wheezy and asthmatic by nature, and the chest may also be constricted. Although the sufferer produces only a little phlegm, coughing will be violent and may be accompanied by retching, gagging, nosebleeds, coughing up blood, nausea, and vomiting. These symptoms may also be present in conditions such as childhood asthma, bronchitis, and whooping cough. A randomized controlled study published in Global Pediatric Health in 2016 investigated the clinical effectiveness of a homeopathic add-on therapy called Influcid in a pediatric population with upper respiratory tract infections. A total of 261 patients received either symptomatic standard treatment or the same standard treatment and the homeopathic medication for a seven-day period. The Influcid homeopathy group used less of the symptomatic medication, while symptoms resolved significantly earlier. And, there were more fever-free children, especially at day three of the study and onward. The Influcid medication included a combination of homeopathic remedies like bryonia, aconitum, gelsemium, phosphorus, eupatorium perfoliatum, and ipecacuanha. Overall, the Influcid homeopathic formula reduced the symptoms and severity associated with upper respiratory tract infections, while it was also safe to use. In homeopathy, the remedy profile is a significant indicator to help determine whether homeopathic ipecacuanha is the best fit for you. Irritability is common in people that respond best to ipecacuanha. Screaming and howling are common traits in children suited for the remedy. When unwell, the person can be hard to please, where they ask for things before changing their mind. Illness can lead them to be miserable, impatient, depressed, and scornful to those around them. Physical symptoms often associated with ipecacuanha include persistent nausea where vomiting and hemorrhaging may be present. The tongue will also be clean and unfurred, despite any vomiting. There is also a constant feeling of being cold on the outside and hot on the inside, and oversensitivity to movement. Symptoms will appear rapidly and are usually intermittent. What are the other health benefits of ipecacuanha? Ipecacuanha is also useful for headaches, migraines, morning sickness, and gynecological problems associated with the tendency to bleed easily. Let’s a take further look at how homeopathic ipecacuanha benefits migraines, nausea and vomiting, morning sickness, and gynecological problems. Ipecacuanha is used for persistent nausea that is not necessarily relieved from vomiting. There is also a bloated and swollen feeling in the abdomen, along with cramping and a colicky pain that may be most severe around the navel. Also, the person’s stomach may seem to flop inside the abdomen, and the vomit is mostly undigested food or bile. Other symptoms include a moist mouth, little thirst, belching, and excess saliva production. When gastroenteritis is the cause, there may also be a lot of watery and green-colored diarrhea that contains undigested food. If the person has itchy skin, sweat may also form on the brow. If this is the case, the sufferer may also experience gallbladder problems. And, any nausea may accompany fainting and a weak pulse. Nausea and vomiting are also very common during pregnancy, especially when it is the first pregnancy for a woman. Nausea and vomiting occur in the second and third months during pregnancy, and it may not just happen in the morning. Ipecacuanha is recommended for morning sickness when there is constant nausea. Nausea is not relieved from vomiting, and the tongue feels clean rather than coated. There is also a lack of thirst and profuse saliva, as well as possible fainting, irritability, and contempt. The sufferer also has a great desire for something, but they are unsure of what that is. Fresh air will improve symptoms while lying down, warmth, bending forward, movement, and stress caused from embarrassment worsen them. Ipecacuanha is often the homeopathic remedy of choice when migraine headaches affect the entire head. The pain will also produce nausea and vomiting. The pain will also move to the face, tongue, and teeth, and result in the person feeling exhausted. There is also blue around the lips and eyes, while the face is pale. 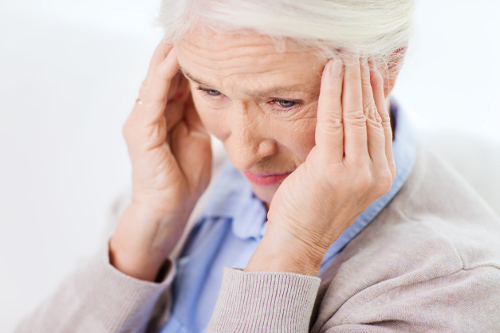 In general, migraines are extremely intense and severe, and they last for a few hours or up to several days. Migraine sufferers get them once per month on average. Homeopathic ipecacuanha is considered a good remedy for women with an extremely heavy menstrual flow. Vomiting, nausea, and fainting will also accompany gynecological problems. Irregular spotting or sudden gushing flow from the uterus of bright, slow clotting blood, may occur between menstrual periods. Ipecacuanha is also a common remedy for hemorrhaging linked with a displaced placenta, or bleeding and nausea after a miscarriage. Where can you find homeopathic ipecacuanha? The remedy can be purchased online or at a health food store in pellet or liquid form. Homeopathic ipecacuanha can also be acquired from your homeopath when they determine the remedy is a good match for your emotional, mental, and physical symptom picture. Your homeopath will likely have ipecacuanha on hand for you take home to treat your specific health problems. As mentioned, homeopathic ipecacuanha is often the remedy of choice for respiratory disorders, digestive issues, migraines, gynecological problems, and issues associated with bleeding. In general, the dosage for ipecacuanha is one pellet or five liquid drops every 15 minutes for intense symptoms. For mild symptoms, you should take it every four hours, or as recommended by your homeopath. Refrain from taking the remedy once symptoms improve, and only start again once symptoms return. Immediately consult your homeopath if there is no improvement after three doses. He or she may recommend a different remedy or dosage for chronic or persistent symptoms during follow-up appointments. “Know Your Remedy: Ipecacuanha,” HomeopathyPlus! ; http://homeopathyplus.com/know-your-remedy-ipecacuanha/, last accessed July 12, 2017. “Ipecacuanha,” A Modern Herbal; http://www.botanical.com/botanical/mgmh/i/ipecac07.html, last accessed July 12, 2017. “Ipecacuanha,” Home Remedy Central; http://www.homeremedycentral.com/en/homeopathic-remedies/homeopathy/ipecac.html, last accessed July 12, 2017. “Ipecacuanha,” Herbs2000; http://www.herbs2000.com/homeopathy/ipecac.htm, last accessed July 12, 2017.